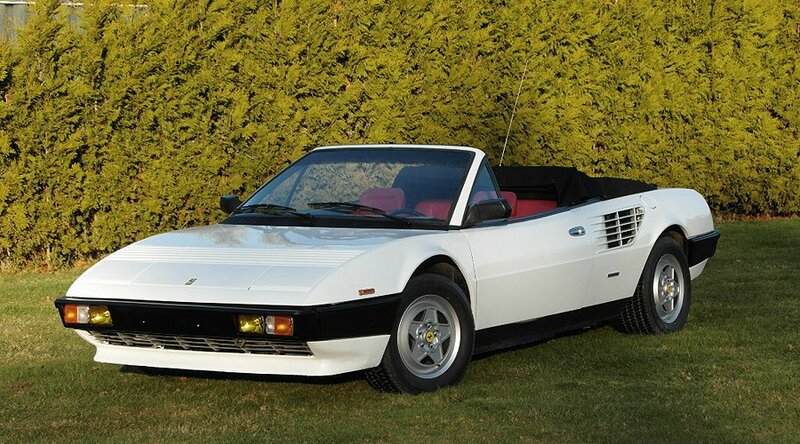 Just in time for spring, she starts up again, this desire for buying a car.Before you fritter away the precious time of the first rays of the sun with the dream cars search in the web, we provide you with the Ferrari Mondial Cabriolet to assign suitable candidates for spring’s. Yes, is it spring already? Calendrically already, but the view outside raises at least in Germany arge doubt. A good time so for the purchase of convertible because of snow and ice can be found talking to the dealer but sometimes one or the other argument for a discount. 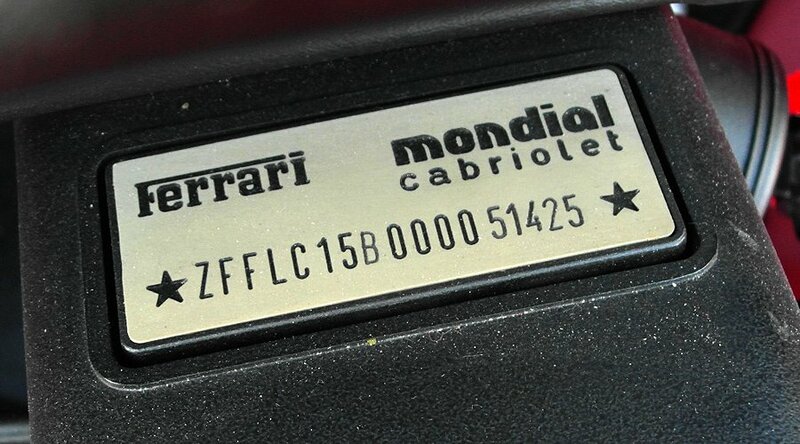 However, this will be carefully considered the suggested Ferrari, for the Mondial is – thanks to its low mileage of 19,000 kilometers below – like a new car there. 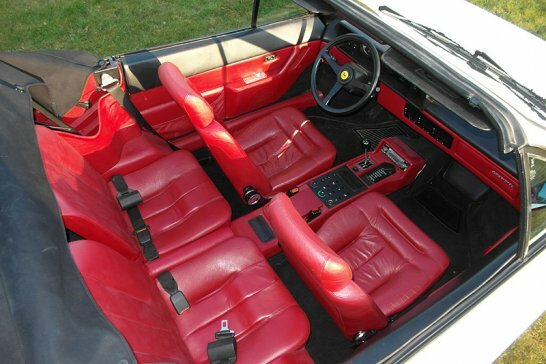 Neither the white body of the V8 cars registered in France, nor the red leather lined interior appear to have traces of use. 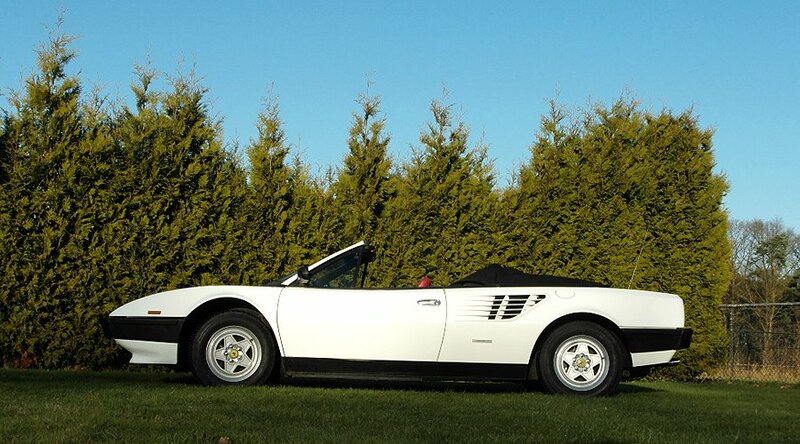 The Mondial is ideal for the jaunt south. Where at Easter prevail more than five degrees above zero and the sun challenge the top mechanism. 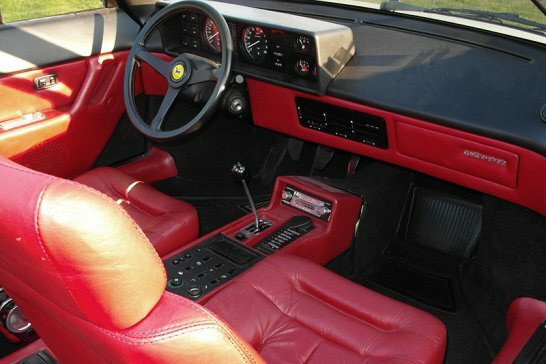 The Mondial is still manual, but hardly bothers Ferrari in 1985 had plenty of experience with easy-to-use headgear. 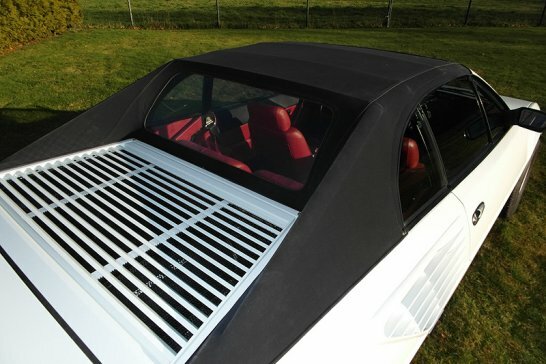 Solve only two snaps at the top windshield frame, shut the rear windows and the roof push back. Go easy and can even be done while sitting inside. But before leaving, it’s only once: stow your luggage. An exercise that provides the Mondial only lay confusion. For the Ferrari has his trunk well hidden. The train on the different levers opens gradually various flaps and hoods. Only the front – oh, sorry, there only the spare tire and radiator are hidden – then the middle door. The luggage does not fit in there, which is where rests the blowing work of Mondial – in this case, the more powerful version with the more modern four-valve cylinder heads. 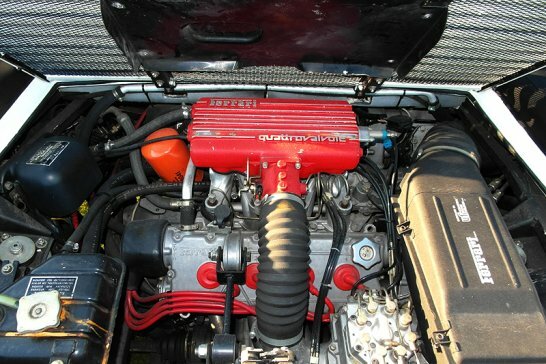 Instead of the original 215 transversely mounted 3.0-liter V8 makes 240 hp here. In absolute terms, not much, but voices for the Mondial. Because of the open Ferrari is not Kurvenräuber, but a relaxed slider. He lives by his flair and the unfussy elegance, designed by Pininfarina body that exudes elegance with or without hood. But we were in search of the trunk, and now lands before the Mulholland luggage in the back seat with despair, we solve the mystery. Directly behind the V8 found under a third door, but actually a place for luggage. Only the chocolate Easter eggs you had better not store in temperatures to be expected here.